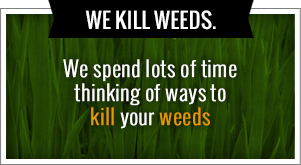 Our number is 918-640-6405 and you can also find us online anytime at www.greenleafweedcontrol.com. We want to take some of the stress off of you and your family this holiday season so you can stop worrying about putting up all those displays and start enjoying the time you have with your family and friends. Trust us and we promise to provide expert care on a daily basis throughout the holiday season. Green Leaf has provided professional holiday lighting and decorating services for residential and commercial properties in Oklahoma for years. Let us truly brighten up your holiday with an assortment of quality outdoor lighting displays. If you’re sick of untangling the lights and making sure your lights were, then call the experts today. Green Leaf Lawn will let you and your family express your holiday spirit without the hassle of hanging out those pesky lights. In addition to our landscape and maintenance services, we offer a large quality holiday lighting service that just can’t be found anywhere else. From installation to custom design consultation, will meet with you to determine the best suited for your holiday needs this year. 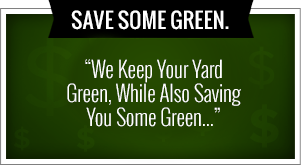 Give us a call today at 918-640-6405. You can also learn more about our Tulsa Holiday Lights on our website at www.greenleafweedcontrol.com. Meet the Tulsa Holiday Lights experts at Green Leaf Lawn. We want you to never untangle and unruly box of Christmas lights or plug up your electric menorahs again! Large or small, automated or static, our goal is to create the holiday display you always wanted.